“The entire community is coming together – Durango, Bayfield and Ignacio – to recognize there is an issue and work together to find solutions,” said Breeah Kinsella, coalition coordinator for Celebrating Healthy Communities. La Plata County’s suicide rate is higher than the state and national averages. 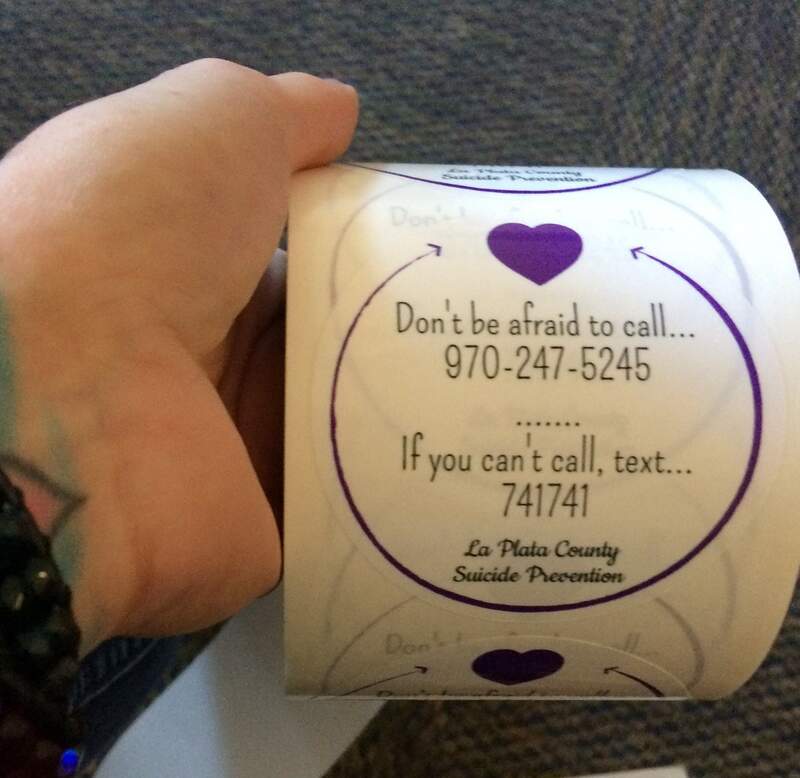 Stickers, sandwich boards and marquees placed around town will proclaim, “Don’t be afraid to call 970-247-5245. ... If you can’t call, text 741741,” as part of the guerrilla marketing campaign, she said. The campaign will last several weeks to coincide with September, which is suicide prevention month. Those who use the text option will reach a licensed counselor; it’s an important alternative for those experiencing suicidal thoughts, Kinsella said. “Sometimes, it’s really hard to verbalize those things,” she said. “Everyone takes this so personally because everyone here has been affected by this situation,” she said. Kinsella said she hopes the campaign will help build relationships between adults and teens in the community. A Healthy Kids Colorado survey found that 69 percent of teens in the region don’t feel valued by the community, but 74 percent of adults feel like they value youth, she said. “We’re trying to offer opportunities for youth and adults to build this partnership so that we can close that gap,” she said.